Are Offshore US Sportbooks Legal? The Answer is Clear - This Guide Explains All! Gambling in the US has undergone many law changes over the years and this has led to the assumption that online gambling is actually illegal. 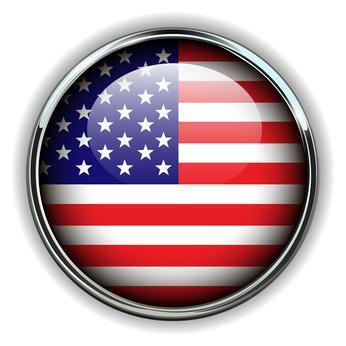 However, many offshore sportsbooks are more than happy to accept customers from the US and the industry is thriving. Here I explore the legality of offshore gambling in the US. I start with a look at the major law change that changed the face of US gambling and the impact it had on the scene today. I finish with a look at some of the best offshore sites and what sets them apart from the rest. In 2006 the Unlawful Internet Gambling Enforcement Act (UIGEA) was passed. This law prohibited payments from financial institutions to gambling sites and was seen as the death knell for online gambling in the US. However this was not the case – no mention was made regarding individuals gambling in the bill. 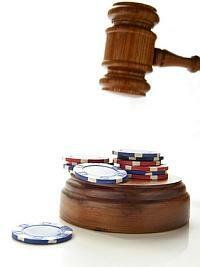 It is a fact that nobody has ever been indicted for gambling online under Federal law. So when asking the question “Are Offshore Sportsbooks legal?” the answer is a straightforward “Yes”. The law did have an impact on US gamblers in that some sites pulled out of the US market completely, whilst others made the move offshore. However many sites have remained and the marketplace is very healthy, with a great amount of competition. The one area where the UIGEA ruling has had the biggest effect is when moving money to and from a sportsbook, fortunately however, these offshore sportsbooks have come up with many ways of depositing and withdrawing money from the sites. The most popular deposit method you’ll find is via a credit card, with many sites offering at least one of Visa, MasterCard and American Express as an option. Occasionally these payments may be declined due to the UIGEA, but the acceptance rate can be high at some of the more popular sites. You’ll also be able to deposit with pre-paid cards, although in general you should ensure these cards are available to use both online and for international (non-domestic) purchases. One of the best alternative options is to make a transfer to the site using one of the popular person to person transfer businesses, such as Western Union. You’ll find many other deposit options, including an old-fashioned check, or even a bank wire. You’ll not find as many withdrawal options, as some of the options you fund your account with are not available – a prime example of this being the credit card. The most popular withdrawal option for many is via a check, although some sites will offer use of a money transfer service having already deposited using this method. An initial deposit bonus – This bonus should be both generous and achievable. Many of these bonuses are based upon a percentage of your opening deposit at a site and will have a play through requirement. A secure and fair environment – When making financial transactions at a site you’ll want to ensure that your details are safe and that you’ll actually be paid when you hit that big win. If you have any doubts about a site before signing up, be sure to check them out at an independent review site. Promotions – Sites should offer a great variety of promotions across many sports. You might gain free bets, extra funds, a comp points scheme or additional deposit bonuses. Pricing – Ensure that the site you choose features odds and lines that are least as competitive as their rival sites, if not better. Pay particularly close attention to the pricing on the bets/markets you’ll want to get involved in. I’d recommend all of the following sites, each one ticking all of the above boxes. Bovada – This site offers a casino and a poker site alongside the sportsbook. You’ll find a generous 50% deposit bonus when you sign up, with a great range of both pre-game and live betting both at home and on the go, and football fans will benefit from some of the best promotions in the industry. This is part of the global 'Bodog' family of brands, you can find them at www.bovada.lv. 5 Dimes – This site offers more markets than any of its rivals. Here you’ll find a great range of lines on every single game, as well as markets on sports of all levels. You’ll be able to benefit from innovative customizable promotions and profit with a bonus of up to $520 when making an initial deposit. BookMaker – This is a sportsbook that raises the bar. Firstly, BookMaker is the first to publish the lines, the rest of the industry following suit. Secondly, the site has a huge focus on client confidentiality, so you’ll not find yourself on any mailing list here. BookMaker is ideal for both high rollers and those who follow the price moves. BetOnline – This site is one of the fastest growing in the industry, offering competitive pricing on a great number of sports. With pre-game and in-play betting available on both your desktop and through their mobile site, this site is hard not to recommend. Did I mention the lifetime 25% deposit bonus guarantee?